Get to know the people in the industry and you can be assured your business will grow. 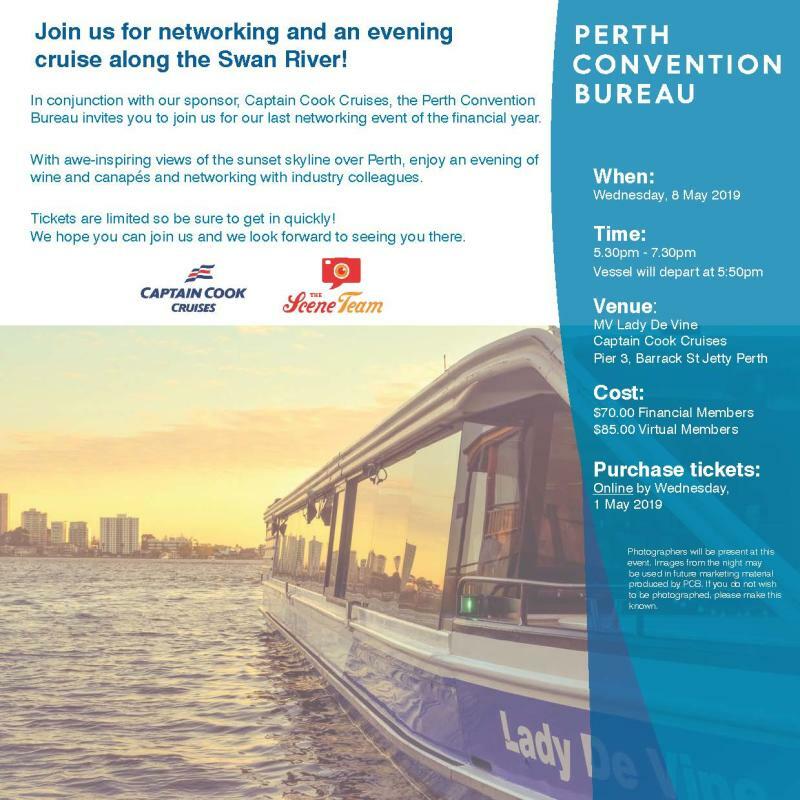 Perth Convention Bureau host a range of networking and educational events to assist members in developing their knowledge and their network of contacts. Our events are renowned for being a lot of fun and are a great way to meet like-minded industry professionals. We encourage members to use each other’s products or services and to look for opportunities to work together and develop new ideas. Why not co-host or contribute to a PCB event and profile your product, service or venue? If you have a question regarding PCB Member Events please contact Membership Manager. Book now, limited tickets available! Payments and tickets to attend PCB&apos;s Networking Event must be booked online via TryBooking. Refunds will be made via TryBooking and granted where notice has been provided before the ticket purchase deadline. Once ticket purchases close no refunds will be permitted as final numbers would have been advised to the host venue and on costs incurred. 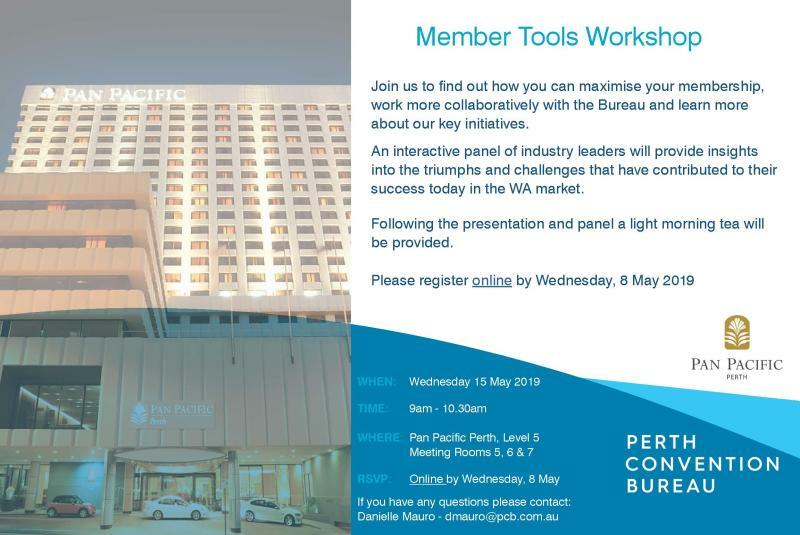 To register for the workshop please complete the form below. Additional registrations at a cost of $35 inc. GST.